Woman with flu sneezes into tissue. Photo courtesy of Shutterstock. 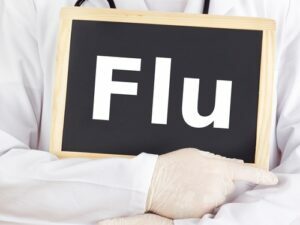 With three months remaining in what is already being called the worst flu season in a decade, employers around the country are undoubtedly feeling the financial impact of increased health care costs and widespread absenteeism. Making matters worse, according to one workplace authority, is the tendency of employees concerned about job security to keep coming to the office despite their apparent illness.